The ‘Quiet Places’ exhibition includes a body of work created while undertaking a residency on the remote Achill Island in County Mayo. Conceived over a two year period, the exhibition is the artist’s response to working in this unique place, combined with her observation of the shifting climate, light and atmosphere of the North Antrim landscape where she lives. Recurring themes include the contrast between man-made and natural forms, harbours, boglands, mountains and seascapes. Nicola creates intense, atmospheric paintings which are rich in hue, reflecting the colours of the seasonal landscape, and texture. Her work has been exhibited extensively across the UK and Ireland and exists in many private and public collections. Everyone is welcome to come along to the exhibition launch on Saturday 8th September from 2pm-3.30pm. A wine reception and refreshments will be provided. Nicola will also be facilitating a talk based on her exhibition and creative practice on Thursday 20th September at 2pm. Admission is free. For further information please visit www.flowerfield.org or call the team on 028 7083 1400. 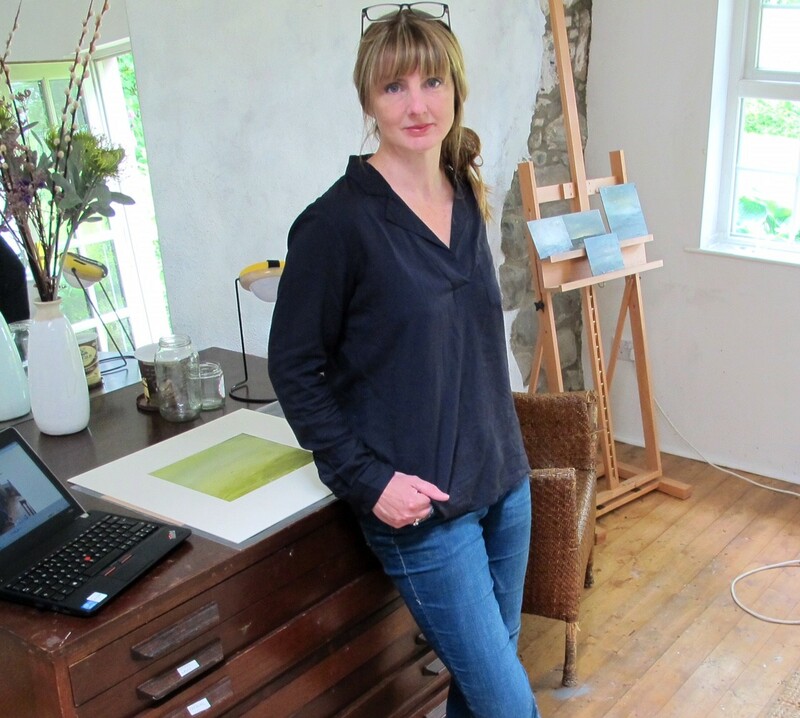 Armoy based artist Nicola Nemec will present her new exhibition ‘Quiet Places’ in Flowerfield Arts Centre, Portstewart from 8th – 29th September.